Scrolling through Cult Beauty, I came across these brushes and have been contemplating the purchase for many months just because I have not heard a lot of reviews about this specific brush set. 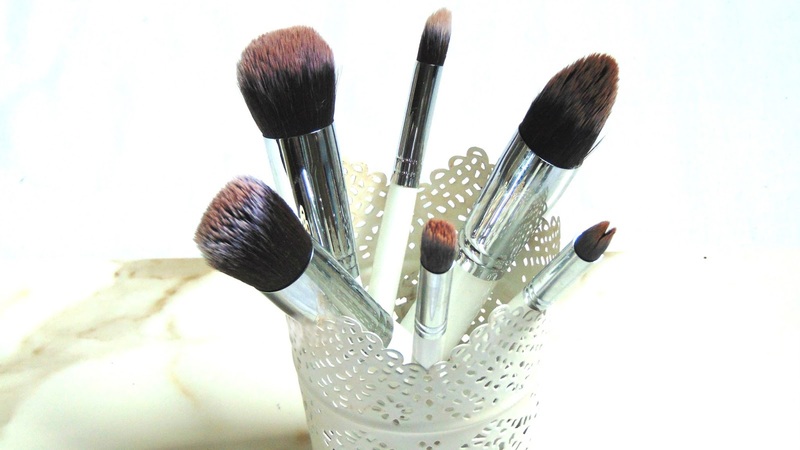 In a brief summary, the brushes are incredibly soft and such great quality for a reasonable price of £18.75. Each brush can be used in different styles of applying makeup whether that be powders, cream or liquid forms. Angled Buffer - I prefer using this brush for applying blush is my favourite part of applying makeup now-a-days with this brush. 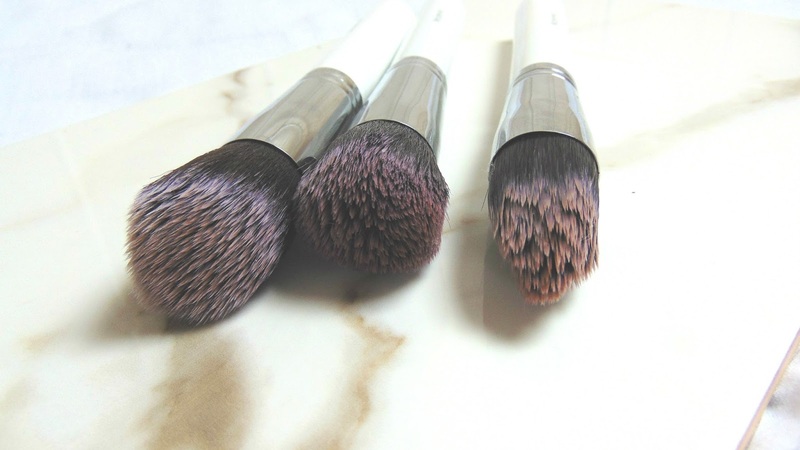 I love the way my blush looks on my skin once applied with this brush - it looks very natural. With a couple of taps and a little blending, this brush works extremely well with blush and contouring! Rounded Buffer - This has been my go-to foundation brush of the moment. It gives such a flawless finish yet very natural which I use for my full coverage foundations. To apply my foundation, I bounce the foundation into my skin a similar way as to using a beauty blender and after I buff it in properly. I find that using this specific method ensures my makeup lasts longer and looks so much better. If this is anything like the much raved about Morphe Deluxe Buffer brush that Jaclyn Hill uses, then I must have it! This is definitely a must have! Pointed Contour Buffer - This perfect tapered brush for setting concealer under the eyes. I don't use this as a contour but for setting my concealer under my eyes with a loose powder or just my usual face powder. Mini Angled Buffer & Mini Contour Buffer - This brush and the contour brush are essential for your makeup bags as they blend in the concealer extremely well whilst delivering a natural, polished finish. Both brushes do not change shape when washed, which is a plus! They are really helpful in intricate areas around the eyes and nose for blending, which I was happy about because I find that sometimes with my beauty blender, I feel like I don't blend it out properly. 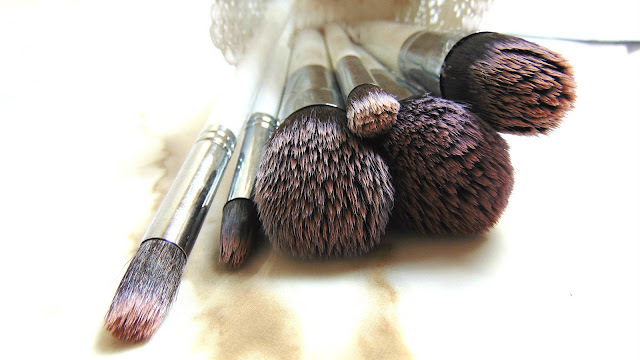 For detailed contouring, these brushes would be a necessity for you! Mini Rounded Buffer - This has to be another concealer brush that I use on an everyday basis, this brush is incredibly soft. I use this brush around my eyes but even for eyeshadow blending, yes, I know it is not purposely used for that I found that with a creme eyeshadow it blends well! Have you tried the Morphe Deluxe Brush Set?